Derby’s Premier Dress Agency. 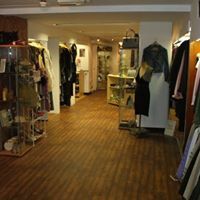 Stocking Boutique, Designer and Top End High Street Clothing. Statement Jewellery, Designer Bags and Accessories -We now buy your old costume jewellery – cash paid. We offer a top class service with 50% commission paid on items sold. Private opening by appointment only.